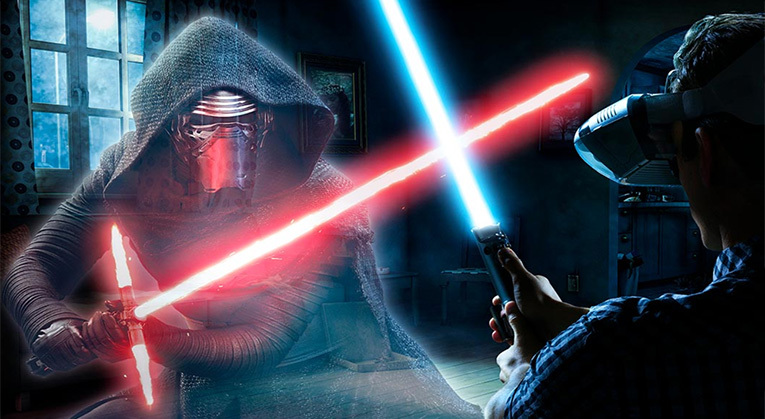 Every young kid dreamt of becoming a Jedi when they got older – and Star Wars: Jedi Challenges makes that a reality or at least an augmented reality. Thanks to Jedi Challenges AR Headset you get to become a Jedi. Pick up your lightsaber, fight the bad guys, and feel as if you are part of this world. In order to play, you will need the Lenovo-made headset, the lightsaber, and the beacon for identifying where the floor is. Together, in your room, they are going to build the entire universe in which you will play. It does not work like popular VR headsets. It uses augmented reality to change how you see the space around you rather than making you see something new. If you are in your room, you can still see your room. However, you will see the enemies, buildings, and world, too. This will put it all in front of you. One of the most engaging and interesting parts of the game is the lightsaber battles. Action-packed and realistic, you get to immerse yourself in this world completely. You can become part of the world and fight off enemies right in front of you. The sounds and motions are realistic. Since it is augmented reality, and you can see the space around you, it feels more real. It feels less like a game and more like an experience. During lightsaber battle mode, you also have the option to block, fight droids, deflect, and take on multiple enemies. It creates depth within this battle system while restricting it to lightsaber use. Lightsaber fights are a major part of Jedi Challenges, but not the only. After you finish fighting the big bad guys from the movies you love, move on to other features of the game. Strategy and Dejarik are the two other modes available. Strategy plays like most other simple strategy games. There is not a lot of depth to it, but it is entertaining. You have to protect your side and take out the enemy – that is all. Dejarik plays exactly how it does in the movies, though it, too, is rather simple. The entire game offers depth and entertainment, but playing it fully does require the right smartphone. Finding the best smartphones for Star Wars: Jedi Challenges is crucial to ensure it works properly. One of the best phones of the season, as Apple generally is, you can expect the same beautiful screen with the iPhone X. With that screen, you can enjoy the game more. You get stunning pixel density and resolution to create the best possible images. Performance is there, too. Apple creates high-quality phones that can handle the power needed to take on Jedi Challenges. Not only will the screen look gorgeous, but it will run flawlessly, as well. You have the complete package and complete compatibility with the iPhone X. Play the entire game with no issues or bugs. The Samsung GALAXY S8 is not going to slack. SAMSUNG is the biggest Android fan and on the same level as the iPhone X. You get similar picture quality, pixel density, and beauty. This allows you to view the entire game perfectly. You also have a device that works. Even if you are in the middle of a tough fight without droids coming at you from every angle, you do not have to worry about lagging or problems taking you down. It runs perfectly from start to finish. Everything is compatible and easy to start playing immediately. You can pick it up and jump into this world in an instant. Google made a huge splash with their Pixel phone when it originally came out, and the Pixel 2 continues to build up hype. The phone has a lot to offer, namely beauty and functionality. It is not going to fall behind just because it is new. 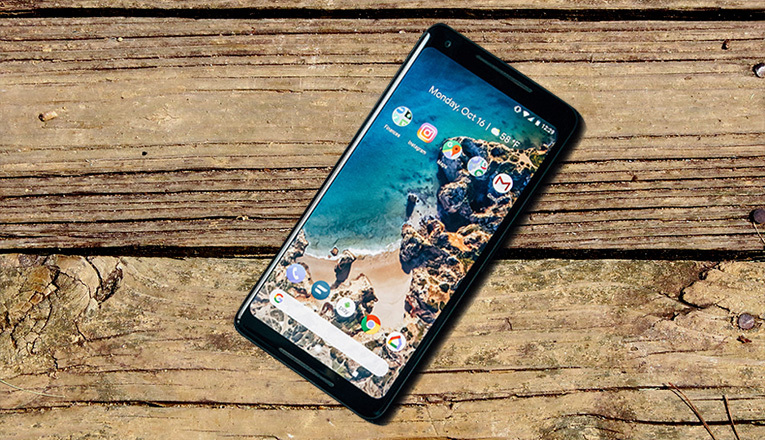 The Pixel 2 XL has a large, stunning screen. Enjoy the graphics in full without any worries. The world is going to come to life in front of you and you are going to find yourself immersed in every moment of it. It works, too. The phone continues to run and continues to handle everything you throw at it without any problems. Fight, strategize, and take on this world without your phone stopping you. It, too, has complete compatibility and usability. Get into your world as you should at any moment. Star Wars: Jedi Challenges is one of the games to play. It has immersion and excitement, throwing you into a world that you already love. Fight known enemies and strategize to save your people. Become a Jedi hero. To do this, you need a good phone. The three above are going to be your best bets when it comes to screen quality, power, and usability. They will get you into your world without a problem. Other compatible phones: iPhone® 8 Plus, iPhone 8, iPhone 7 Plus, iPhone 7, iPhone 6s Plus, iPhone 6s, iPhone 6 Plus, iPhone 6, Galaxy S7 edge, Galaxy S7, Google Pixel XL, Google Pixel, Moto Z² Force Edition, LG G6. Additional devices will be added to the above list soon.